Welcome to the BTE Racing Car of the Week series, where we feature our customers and fans, and the cars (and trucks) they love to race. 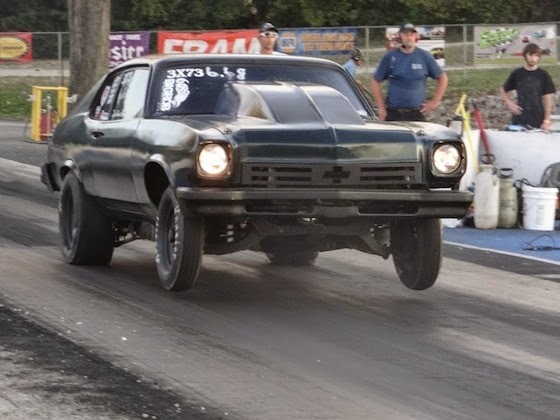 Today, it’s all about Tyler Stine from Springfield, IL and his 1974 Buick Apollo. My dad started racing in 1994 and when I turned eight, I started junior dragster racing. I won the track championship in my 3rd year. Mason County Raceway (now known as Central Illinois Dragway) in Havana, Il in a junior dragster. I still race there every weekend. The convertor provides an easy launch and a smooth pull up of the tires. My good buddy Chad Easley and my dad, who gave up his racing so I could do it. I listen to PJ North’s "Be .00 Take .00," smack my helmet, rock around in the seat to get my mind set.